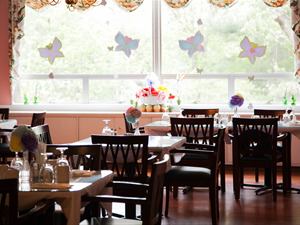 At Shepherd's Care, our residents enjoy nutritious, restaurant-style meals served by our professional wait staff. Our wonderful cooks enjoy preparing meals for residents, families, and friends to enjoy in our spacious dining room. There is always a variety of menu items without the hassle or clean up! Snacks are also offered to all of our residents twice daily. We work to ensure the special dietary needs for each of our residents. You will be able to dine with us knowing nutritional requirements are being met each day in a menu designed to be healthy, delicious, and full of choices. When planning a visit to Shepherd's Care, make sure you come during dining hours so you can see for yourself the flavorful dishes prepared by our "well seasoned" dining staff. At Shepherd's Care, we know that nutritional meal planning and delicious food enhance a healthy and happy lifestyle. Join us today for one of our culinary delights.